AllCountyJobs.com, a local network of job boards on the east coast has announced the launch of its third city-specific job board, baltimorejobs.net. The new maryland job site joins WashingtonDCjobs.net and PhiladelphiaJobs.net. Baltimore's job market is on the rise and the city's unemployed are finding work more easily. Th new job board is only 1 of a handful of sites that baltimore job seekers can use. As of today it had several thousand listings in the great baltimore area. We'd like to announce a new job site for Audio Engineers, Sound Mixers and all sorts of audio jobs. AudioJobs.com is a nationwide database of these types of unique careers. Audio Engineers typically earn salaries of $50-$150k per year. Wikipedia defines the profession as: "Audio engineering is a part of audio science dealing with the recording and reproduction of sound through mechanical and electronic means. The field draws on many disciplines, including electrical engineering, acoustics, psychoacoustics, and music. Unlike acoustical engineering, audio engineering does not deal with noise control or acoustical design. An audio engineer is closer to the creative and technical aspects of audio rather than formal engineering. 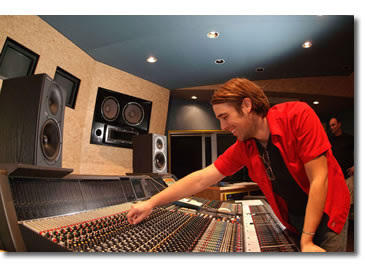 An audio engineer must be proficient with different types of recording media, such as analog tape, digital multitrack recorders and workstations, and computer knowledge. With the advent of the digital age, it is becoming more and more important for the audio engineer to be versed in the understanding of software and hardware integration from synchronization to analog to digital transfers." There's even a professional association for audio pros called the Audio Engineering Society. Additional job titles in this field include podcasters, sound engineeres and mixers, audio/visual technicians and audio designers.